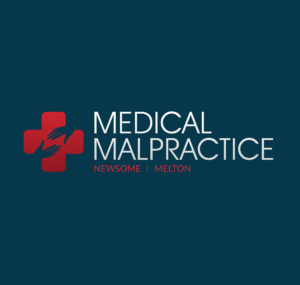 In medical malpractice suits, the defense might try to prove that their client is not liable for any injury or damage sustained by the victim because the patient consented to the procedure and understood the risks involved. This type of defensive strategy is the assumption of risk defense. Before undergoing many medical treatments and procedures, physicians and hospitals will often require the patient to sign a consent to treat form, as well as a form that explains the risks of the procedure. Many defendants might try to use these documents in court to relieve themselves of any duty of care towards the plaintiff. If this defense is proved correct, then the defendant will not be liable for any damages owed to the victim. This defense can be very difficult to prove, even when patients sign forms that acknowledge they understand the risks of medical treatment. For assumption of risk to be proven, the defense needs to show that the patient completely understood and accepted the risks involved. For patients with average intelligence and no medical training, their lawyer can argue that no one without the proper training and education can ever truly and completely comprehend what can go wrong while being treated medically. For the assumption of risk defense to work, the patient must understand all of the specific risks of harm. Even the most comprehensive release form cannot cover every possible scenario in a manner in which most patients would understand. The assumption of risk defense also will not apply in cases of gross medical negligence. Even if the patient understands the risks of the procedure, no victim is expected to assume the risk of injury or damage due to physician mistakes or incompetence. If a patient is unable to give consent to the risks of a procedure or is in a mental or physical condition in which one is not legally able to assume risk or give proper consent, the assumption of risk strategy is also invalid.